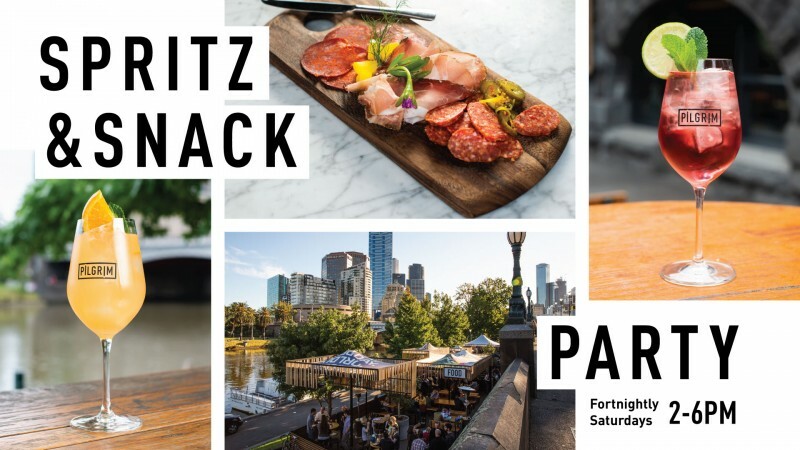 Gather the crew and head to Pilgrim Bar for a Spritz & Snack Party from 2-6pm, showcasing our all-Australian menu of food and drinks, local DJs, and a prime waterfront location. The spritz & snack party menu will rotate with our chef's top picks of all-Australian charcuterie, mini bites, and small shares, alongside a selection of refreshing spritzers from the pop up Spritz Bar. ​Enjoy a complimentary spritz on arrival, kick back with tasty snacks, and enjoy the live entertainment on the banks of the Yarra.